What’s a community of wealth? basically it’s just a bunch of people with something in common, but if it works correctly this type of group can be very powerful. A good community is a great way to gain support, stay motivated and achieve your goals, but sometimes they can be hard to develop and maintain. If you are the collaborative type and thrive on social interaction, then you might want to consider kicking off a community all of your own. There are a lot of ways to do this and the online world provides a multitude of options. Facebook, Twitter, YouTube, LinkedIn, Flicker etc. are easy ways to start forming relationships and sharing and if you are really keen, then you might even want to take it up a notch with a blog much like this one. 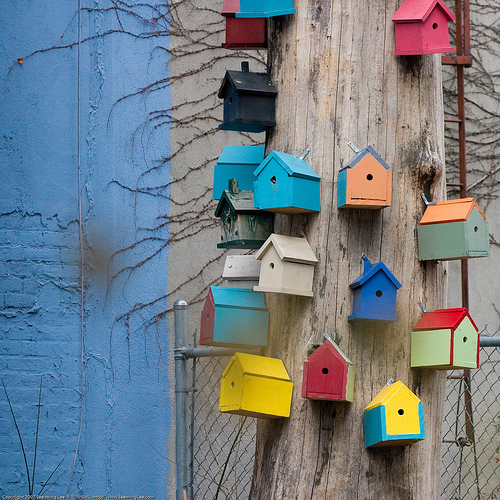 If you are a little less organised or forward in your approach, then there are still plenty of ways to be a part of a community, even if you are just a fringe dweller. I read somewhere once that you are the average of the five closest people to you. If this is true and you have very wealthy friends, then there is a good chance that you will be wealthy yourself. On the other hand, if those five people are not concerned about wealth creation, then there is a chance that creating wealth is going to be a lot harder for you also. Thanks to the Internet, a modern community no longer has geographical boundary’s, it can literally span the globe. This means that we can now interact with, learn from and share ideas with people located absolutely anywhere. I’m sure you know that it is possible to have too much of a good thing and I don’t think you should devote as much time to the Internet as you would a good friend, but if your friend circle isn’t too fussed with creating wealth it may be a convenient way to bump up you average! I probably don’t really need to sell this concept to you. 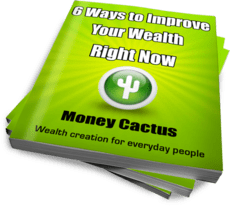 If you are still reading then it is very likely that you are interested in wealth creation and ways that you can learn more about it. In that case congratulations, you are already a long way ahead, but as much as I would love you to come and visit my site every week for more great content (and you should) I think it is best for you to get some other perspectives and information about different areas of wealth creation that I don’t always write about. It doesn’t matter if you want to develop your own community or just join others, it isn’t going to happen if you wait for people to come to you, you have to get out there and find them. one great way to do this is to leave comments on my posts and interact with others that do the same, but there are some other more established communities worth checking out too. Visiting big name blogs and reading guest posts and going through the comments is a great way to find people that are saying things that you are interested in, I’ve found stacks of great sites like this. There are literally thousands of other personal finance focused blogs on the web, but if you want to take a shortcut or are just kicking off your investigations, then you can find a list of some very good ones at the Yakezie Network. Go check out some of the blogs on this list, leave comments, subscribe to their content via email or an RSS reader, follow them on Twitter or their Facebook Page if they have one and soak up as much as you can. This is going to keep you really busy for a while, but after a few weeks you’ll get an idea about their focus and whether you like it or not. If it isn’t working for you, unsubscribe and repeat the process with another site. This could take you some time depending on how much information you want to consume, but someone that I feel is worth following that isn’t on that list is is Scott Pape. Scott is the Barefoot Investor. He’s a clever guy with lots of good ideas about balancing life and investing and I really like the stuff he comes up with, plus he’s an Aussie like me so he gets my vote. Who you decide to subscribe to and follow is completely up to you (so long as you subscribe here too ;)), but don’t be a bystander. Reading content is fine, but it really only starts to become a community when you begin to interact yourself. If you feel funny about commenting on blogs, then go practice in a few forums first. This is actually another great way to interact with people as you usually get to cover a topic in more detail and have more input / feedback too. There are plenty of these about, but it’s tough to go past the Get Rich Slowly Forum, due to the sheer size of the existing community. The goal of this activity is to develop your wealth creation skills. If you spend a little time reading blogs and commenting in forums, then you are probably on you way to being a super geek, but you are going to learn a stack of great stuff too. Like everything else, if you find the balance, you will be fine. What I would really like now is a bit of input. What are your favourite personal finance sites and why? If you have a favourite forum that you are already a member of, then please share it in the comments below also. If we all share a little, then we have a better chance of increasing our average wealth.